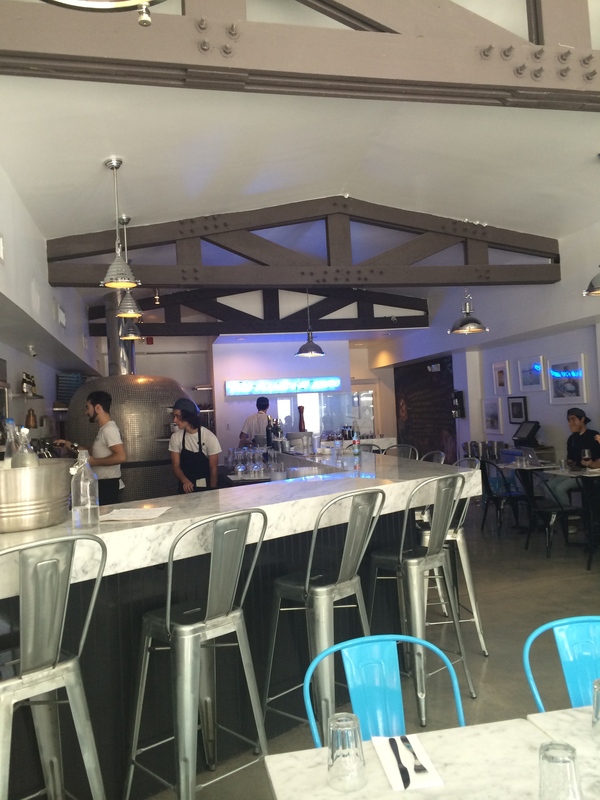 Took a ride down to Miami to try out a pizzeria that many readers have bragged about called Stanzione 87. Not sure what the name meant but after some google searches once I arrived, it appears the name means Stanzione 87. Sorry to make you think that I knew what it meant, but I still don't. Maybe I will call the owner to find out. Stanzione 87 wasn't too busy on the day we went, I believe it was due to the construction, but that didn't matter. I would have tried it regardless of how popular it was. 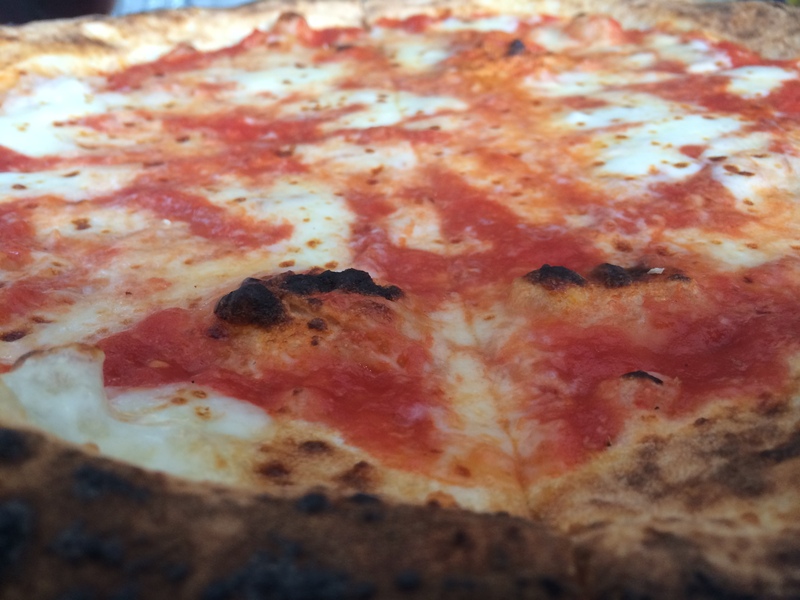 Let me start off by saying that Stanzione 87 was one of the better pizzas I have tried in recent times. It is hard to head to Miami and pass by so many other pizzerias that I enjoy and not want to stop, but I think I found a reason why. Stanzione 87 was delicious. I ordered a plain pie (Margherita) with no basil and started a discussion with the table next to me. The girl at the table looked like the female version of my friend Willie, like almost identical. It was shocking. The pizza arrived and I couldn't wait to dig in. When the pizza came out the owner came to the table and introduced himself. Honestly, I was taken back by how young the owner of this hip and trendy pizzeria was. This Italian (straight from Italy) managed to build a beautiful place with a simple menu. I think you can see him over against the wall to the right. Yes, that young guy owns this awesome place. We had a conversation for a while and then I tasted the pizza. The pizza was fantastic! 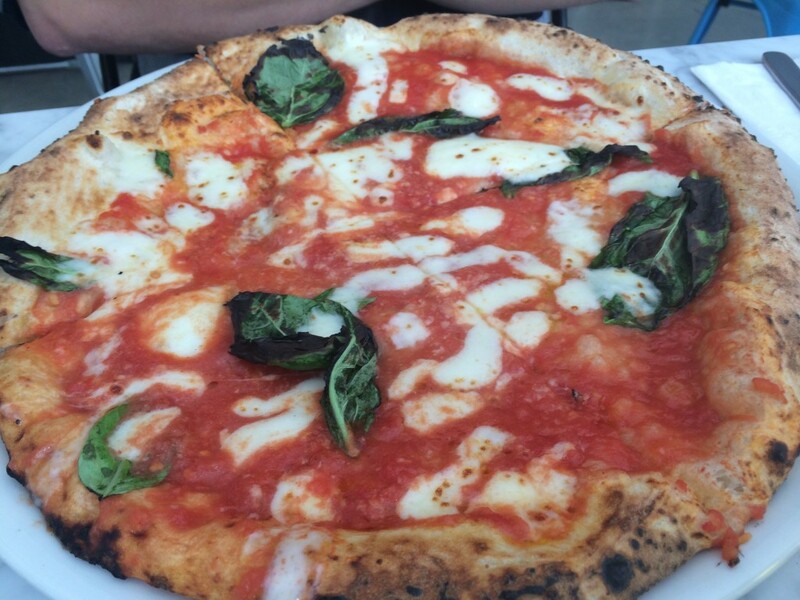 The crust was light and airy, and had a nice taste after being cooked in the wood fired oven. The smell of it made me think about ordering the dough to go and use for dipping later in the evening. The sauce was sweet and super fresh without many clumps. The cheese was ridiculously fresh and tasty. I think my favorite part was the olive oil they used to improve on the already great taste. All around this was one of the better Neapolitan pizzas I have tasted down in Miami. The photo above is what a Margherita pizza would look like if it had the basil on it. Stanzione 87 is a must try for pizza connoisseurs and a place I would happily recommend to anyone who asks me where to go in Miami. 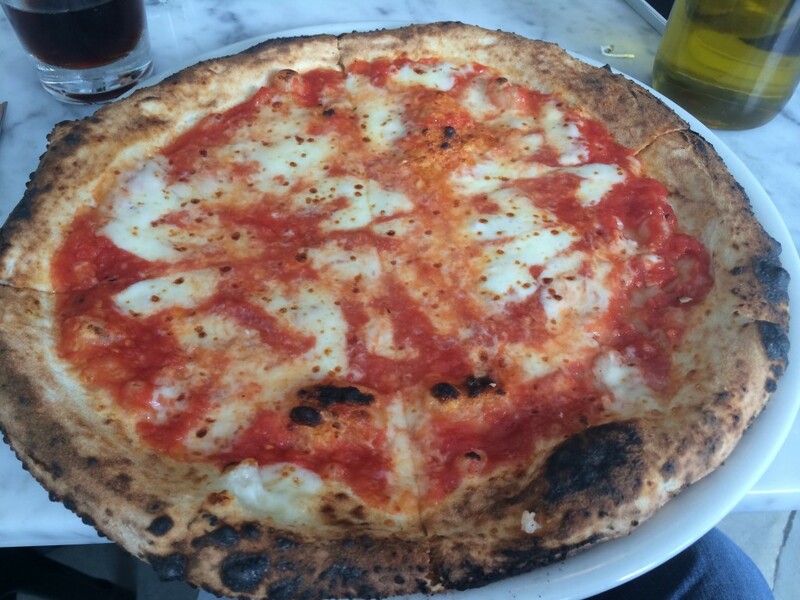 Stanzione 87 Pizza in Miami gets 7 out of 8 slices.